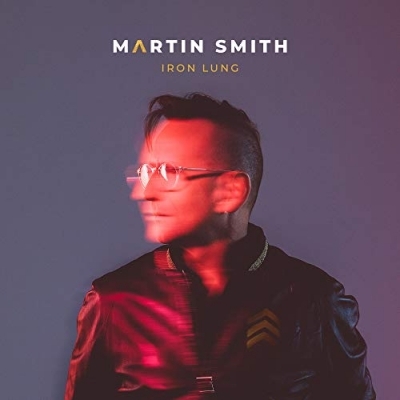 Read More As he begins a fresh chapter in his career as a solo artist, Martin Smith is still better known as the lead singer from British worship band Delirious? It all started back in the early 1990's when Martin teamed up with studio owner Tim Jupp and graphic designer Stew Smith to provide the music for a local event aimed at joining the dots between church and young people at a church on the south coast of England. As a budding young songwriter, Martin's open hearted lyrics and the band's home grown delivery made immediate sense to those who saw it first hand. Things were rough yet soaked in the sweat of honest enthusiasm, and the band quickly made a name for themselves as the most exciting band on the UK Christian scene. Quickly joined by Stu G and Jon Thatcher the five sold early recordings of their songs in abundance, and within four years they had given up their day jobs and gone full time as a band under the name Delirious?. As gig bookings came in from all around the UK this trend setting band quickly established a goal to take their music beyond the walls of the church. Within five years they were releasing singles and albums into the UK mainstream charts. For some this was a controversial move, but their success was undeniable as their first proper album 'King of Fools' achieved two top twenty singles and a number 13 placing for the album on the UK charts. The roughed-up guitars and euphoric melodies showed the way forward, with Radio 1 dubbing them "pop's best kept secret." Delirious? continued for the best part of two decades, releasing albums that set new standards for Christian music whilst continuing an assault on the charts with a string of singles. They headlined tours all around the world, from the UK and US to Europe, Australia, Asia and South America. They were even invited to open up for mainstream stalwarts like Bon Jovi and Bryan Adams, and played in front of the Pope. In 2009 the band brought their 17 year career to a close in fitting fashion, with the aptly titled 'History Makers Farewell Tour'. Apt not because the band considered themselves to be anything out of the ordinary, but because of their dedicated fans. Delirious? bowed out with one final London show at the end of November 2009. Yet the Delirious? story didn't end there because come Easter 2010 a group of fans got together on Facebook with the wacky idea of seeing if they could get a Christian song to the top of the UK charts for Easter. Before anyone knew what was happening 65,000 people had signed up to the campaign and despite the band no longer being together, the fans achieved the biggest chart success of Delirious' career. The song History Maker landed at Number 4 in the UK singles chart in April 2010, an unprecedented success in the UK for a Christian band. So with Delirious? disbanded, Martin Smith disappeared from the radar for a while. He didn't desert the music scene all together, instead taking on the role of producer for his friend and fellow British worship leader Tim Hughes on the album 'Love Shine Through'. Before long little hints started filtering out about Martin writing new songs. Rumours of a much demanded solo career appeared to be correct, and sure enough nearly two and a half years after Delirious? 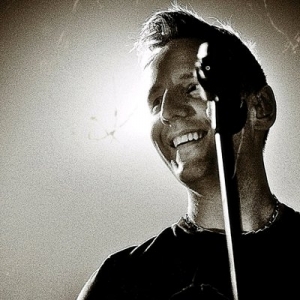 performed their final concert together, Martin announced the launch of his first solo EP, titled 'God's Great Dance Floor', with his first solo concert in Brighton, England, on 2nd March 2012. Martin has been leading worship at various events around the world over the past year, including the US, New Zealand, Singapore, Argentina and Colombia. Ahead of the release of that first of four EPs planned over the next year, the singer visited Bogota in Colombia recently to shoot several music videos for new songs, including one that featured a flashmob of more than 600 dancers. "Going 'public' with your music is always a scary business. One you never get used to, but very exciting all the same" commented Martin of his new solo EP. "Hours spent in the studio and then suddenly everyone can hear what you've been up to for 3 years! All that you hear has been recorded at our house which gave me both flexibility and time. Time to bring balance to our lives and for the music to be organic. It meant I could get to see kids football matches, netball tournaments, feed the ducks, go running, do Peppa pig puzzles and be at one with my family" he continues. "It hasn't always been 'House On The Prairie', as mixing a creative brain with school parents evenings has often felt disastrous! But we wanted to do this together, we've tried to do this together and what you hear is a team effort." 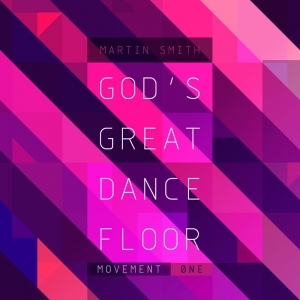 Pulling together a band of fresh, talented, young musicians and singers, Martin set about recording 'God's Great Dance Floor' as both an outlet for his own musical creativity and an opportunity for new talent to cut their teeth in the music business. The result is an outstanding EP of four innovative worship tracks with all the components of those classic Delirious sounds, but with a new creative flare that shows the future is still rosy for Martin Smith.